Specialising in Character and Premium homes, Ben is fast becoming a household name in the Eastern Suburbs, with a growing number of accolades and referrals to his name. As a life-long resident, he is a knowledgeable and enthusiastic advocate for the area’s many lifestyle attractions. But beyond that, he regards his clients as friends, enjoying the process of building relationships as much as the business opportunities they bring. His background in hospitality, love of property and talent for striking a deal have given him a set of skills ideally suited to real estate, with an integrity, work ethic and dedication that can only be admired. Clients love Ben’s passion and energy, his persistence when things don’t quite go to plan and his humility in deflecting praise for a job well done. Ask him what motivates him and he’ll tell you, he just wants to deliver the best service possible and to do things a little better each time. Ben is proud to be a part of the high-profile Harris brand whose commitment to innovation, transparency and client service strongly mirror his own standards. He is a valued member of the team, with a demonstrated ability to manage multiple listings, absorbing a detailed understanding of each client’s specific needs and diligently guiding them through their options. To explore yours, call Ben today. Harris Real Estate were very easy and professional to deal with. They kept us informed the whole way, met the commitment made to sell the property quickly for a great price, a very easy low stress experience. I was extremely happy with Harris’s help with the sale of my house. In particular, the agent, Ben Tan, was fantastic to deal with. His positive attitude, honesty, knowledge of the area and the market, and friendly nature made the entire process easy, and my house was sold much more quickly than expected. Ben was a pleasure to deal with. He made the procedure of selling our property as painless as possible. We would recommend Ben for anyone wishing to sell their property through Harris Real Estate. Ben was very professional in his approach throughout the whole process, constantly keeping us informed with anything we required. He always remained honest and confident and got us the desired result above what we expected. I would definitely use him again! Ben should be highly commended! He endeared himself from the moment we met him. He looks great, dresses well but it was his smile and ability to communicate with us that won us over! Very quickly, we knew could trust Ben. He was in contact throughout the campaign keeping us briefed on what was happening. He went out of his way to help us with getting the house ready for sale. He never at any stage let us down! He provided data which helped us to be aware of property movement and prices. He was genuine, honest, looked great, communicated at the highest level and of course sold the property! We have already recommended Ben and Harris to friends. We wish Ben well in all his endeavours! Ben did an amazing job in selling our house. He maintained contact with us and kept us informed throughout the sale campaign. He is a ‘straight shooter’ and met all of our expectations. After having a bad experience previously, Ben has restored our faith in estate agents and we wouldn’t hesitate to use him again. Thanks, Ben. Ben was honest and upfront with us in dealing with the purchase. We knew Benjamin Tan was the agent for us as soon as we met him. He was at all times completely professional as well as friendly. We had complete confidence in him throughout the campaign and we achieved a most pleasing result. Selling a home is always emotional, especially when downsizing due to terminal illness of a partner. Ben was not only a professional and highly competent salesperson, but also very sensitive and understanding of our needs and anxieties. He was able to present realistic options and kept us updated throughout the campaign without intimidation or pressure and he helped us to achieve a fair a reasonable outcome. We always felt confident that he was representing our property sympathetically and honestly so that the buyers trusted him as much as we did. His open friendly manner made him a pleasure to work with. 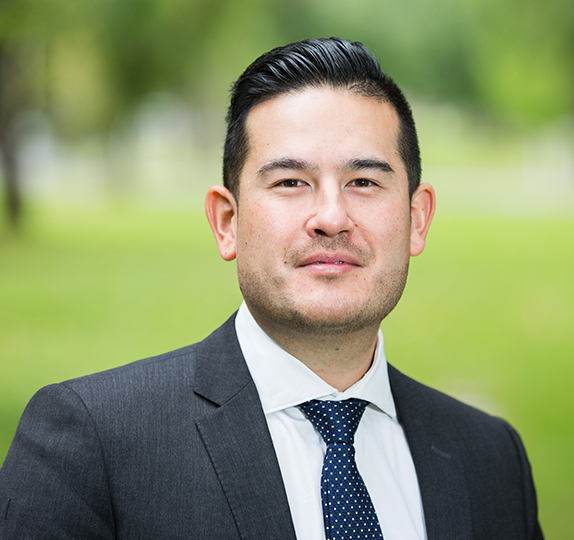 We found Benjamin Tan to be an exceptional agent who went above and beyond to help us sell out home. We were kept informed of the progress of the campaign throughout the whole process and we were given regular updates after each open inspection and follow ups. We will definitely recommend Ben to anyone we know looking to sell their home. A very professional and hard working agent. Would highly recommend Ben Tan for your property needs with buying or selling. Ben is very professional and easy to work with to achieve your desired results.